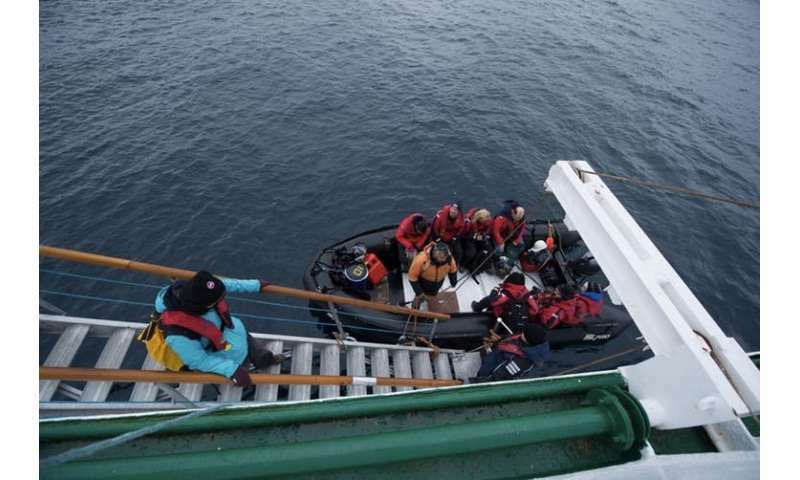 I was aboard the 364-foot Russian research-cruise ship Akademik Ioffe when it came to a violent stop after grounding on a shoal in a remote region of the Gulf of Boothia in Canada's Arctic. Fortunately, none of the 102 passengers and 24 crew members were injured. Chemical contaminants that may or may not have been pumped out with the bilge water seemed to be minor. It could have ended up a lot worse. I was on the ship representing Yale Environment 360, which commissioned me to report on climate change in the Arctic and the research that scientists and students with the U.S. National Foundation sponsored Northwest Passage Project were to be conducting on that three-week voyage. It took nearly nine hours for a Hercules aircraft to fly in from the Canadian National Defence Joint Rescue Centre in Trenton, Ont., 12 hours for another DND plane to come in from Winnipeg and 20 hours for a Canadian Coast Guard helicopter to fly over. By then we were boarding the Akademik Vavilov, a Russian sister ship that had come to the rescue. Had the weather not worked in our favour and had there been thick ice such as the kind we had sailed through hours earlier, we would have faced a number of challenging and potentially dangerous scenarios. Powerful winds could have spun us around on that rock, possibly ripping a hole into the hull that might have been bigger than the one that was presumably taking in the water we saw being pumped out of the ship. Thick ice grinding up against the ship would have made it almost impossible to get everyone off into lifeboats. I had warned about a scenario like this in my book Future Arctic, Field Notes from A World On The Edge. Only 10 per cent of the Arctic Ocean in Canada, and less than two per cent of the Arctic Ocean in the United States, is charted. Only 25 per cent of the Canadian paper charts are deemed to be good. Some of the U.S. charts go back to the days of Captains Cook and Vancouver and the time when the Russians owned Alaska. I'm not the only one who has been raising the red flag. Arctic experts such as Rob Huebert, Whitney Lackenbauer, Michael Byers and the federal Commissioner of the Environment and Sustainable Development have all highlighted the rising risks of shipping in the Arctic, and the formidable challenges associated with timely search and rescues and the staging of oil spill cleanups. Since the catastrophic grounding of the Exxon Valdez off the coast of Alaska in 1989, the list of groundings of fuel tankers, drilling ships, cargo ships and passenger vessels plying the waters of the North American Arctic has risen significantly. Most notable among them were the cruise ship Hanseatic, which ran aground in the Canadian Arctic in 1996, the Clipper Adventurer which ran aground in Coronation Gulf in 2010 and the Nanny, a fuel tanker that ran aground near Baker Lake in 2012 in an area where marine investigators say there is little margin for error. It was the fifth grounding in that area since 2007. As sea ice continues to recede in the Arctic, it provides cruise, cargo and tanker companies with new opportunities, and emboldens small vessels to venture into uncharted areas. 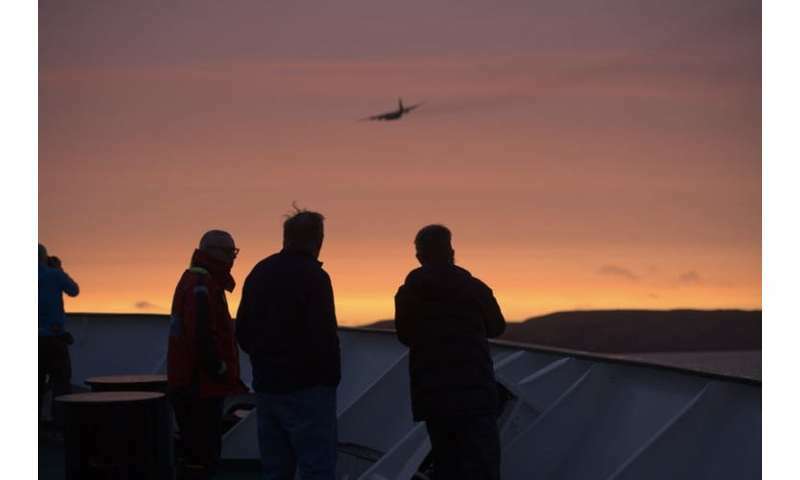 A recent analysis suggests that tge average Arctic ship route has moved more than 180 miles closer to the North Pole in the past seven years.(https://psmag.com/environment/retreating-arctic-ice-has-shifted-shipping-routes-180-miles-closer-to-the-north-pole). Mines such as the one at Mary River on Baffin Island are planning to use ships to transport their ore. Bigger cruise ships such as the Crystal Serenity that sailed through the Northwest Passage with 1,000 passengers and 600 crew members in 2017 are beginning to test these opportunities. There are other factors portending future disasters. There are no ports in the North American Arctic from which to stage a rescue or an oil spill cleanup. Icebreakers are few and far between. The U.S. Coast Guard has just one in operation. Canada has a few more, but many of them are well on their way to being decommissioned. Weather forecasting capabilities are poor due to the shortage of meteorological stations and the increasingly unpredictable nature of Arctic weather. Powerful summers storms such as the record-breaking summer cyclone that tore through the Arctic in 2012 are on the increase. Stable shorefast ice is letting go in unpredictable ways. Our ship, for example, was forced to make a last-minute change to the starting route because of ice that was blocking passage into Resolute Bay. Recognizing the challenges, two cruise companies reportedly cancelled their expeditions this year on short notice. There is a lot that can and needs to be done to reduce future risks. The Canadian government could compel ships to use forward looking multi-beam sonar with Bluetooth technology. Charts can and need to be updated rapidly. More weather stations are needed. The dumping of bilge water should be banned. A search and rescue team should be seasonally based in a strategic part of the Arctic. An Arctic port is needed sooner rather than later. There is also a need to determine what impact future shipping will have on beluga and narwhal migrations. There is time to play catch-up because there are few signs that shipping companies are in a hurry to exploit the short cuts that the Northwest Passage offers between the Atlantic and the Pacific. But the number of partial transits will increase as cruise ships, mining companies and future oil and gas activity focus their eyes on the Arctic. As things stand now, we are not prepared.